Commissions for businesses of all style and scope. 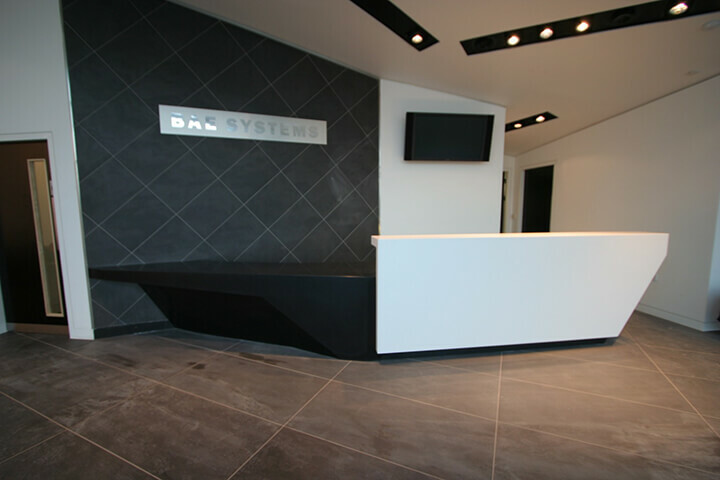 When you need to give the best possible first impression, a beautiful and functional reception area allows you to showcase exactly who you are to your customers. 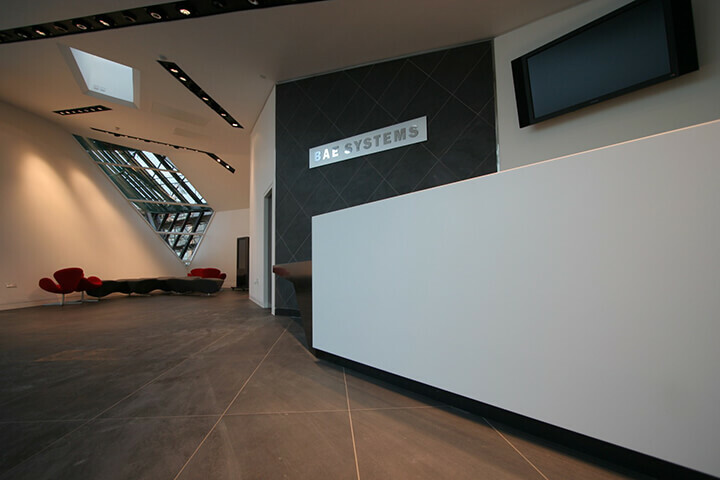 Our reception desks, storage solutions, and bespoke commissions are all designed and manufactured in our workshop before being transferred and fitted in your premises. This ensures minimal disruption to your day to day operations during the installation process. We have designed commissions for businesses of all style and scope – from local businesses to global household names – so we know how to reflect best your business requirements and meet your objectives. Your reception design can be as you envisage it. Many of our commercial clients request beautiful bespoke wooden reception desks crafted from FSC hardwood while others desire a full re-design of their main entry space. Of course, if you aren’t completely sure about the look you want to achieve, we can discuss styles, solutions, and materials with you in-depth. 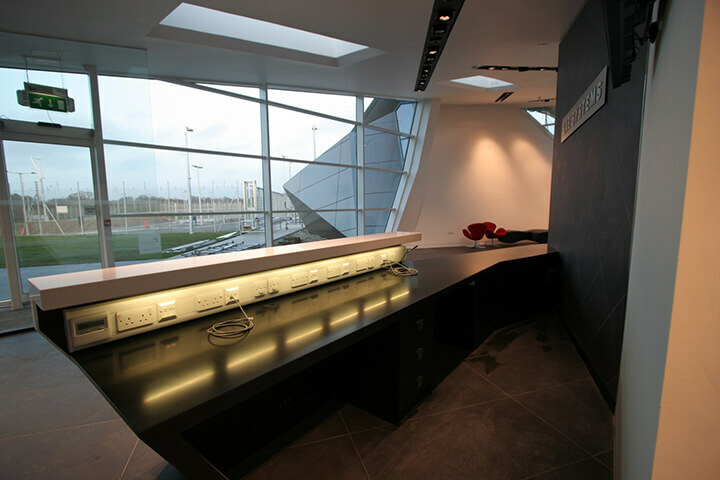 Call 0161 643 4054 and view our reception design gallery below for inspiration. 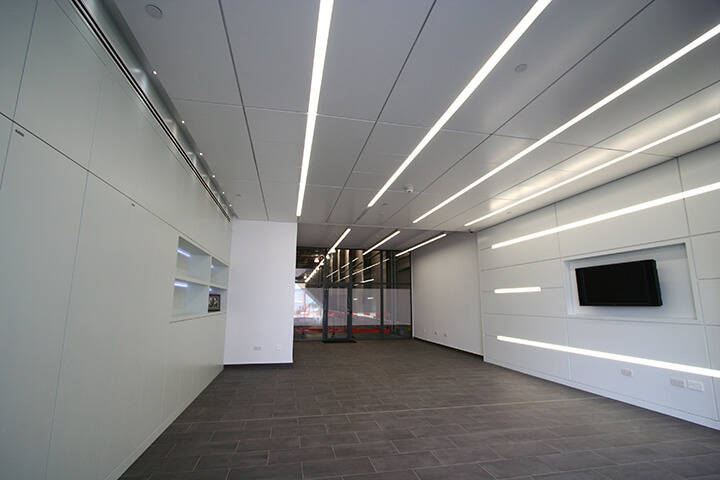 The contemporary design showcased above was commissioned for a global company specialising in aerospace and nautical engineering. Created from LG Hi-Macs, a stylish and modern material which is formed from a blend of natural minerals and pigments which are set in acrylic, we were able to create stunning 3D shapes to meet the unique requirements of the company. The brief was to create a space which replicated the form of the stealth fighter jet. With angular lines and multi-level counter heights, the desk is both functional and in keeping with the building’s built-to-purpose architectural design. 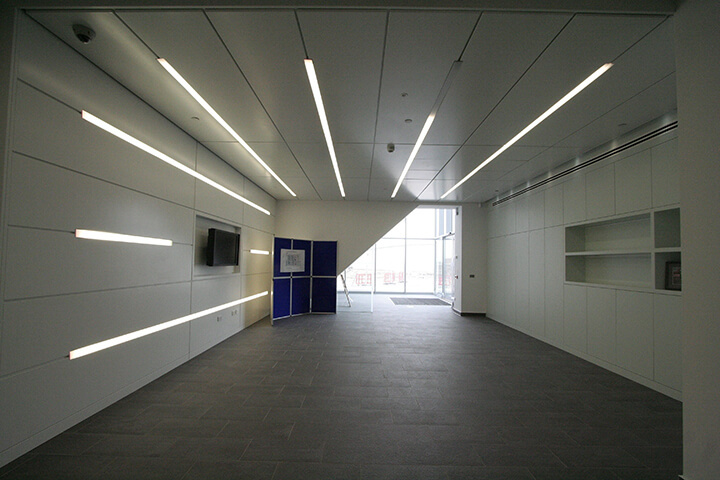 Alongside the high-impact entry area, we were additionally tasked with creating a secondary reception area to meet the functional requirements of the business. Before progressing to the factory area, it was essential that visitors have an area to change from their business dress into factory overalls. As a result, we devised an intermediary area with flush floor to ceiling storage areas with integrated wardrobe space. Please visit our gallery area to view all aspects of the project.